Overwhelming skyscrapers and pools of light oozing from people's rooms... A night view impresses us with its glow. Have you ever found yourself wanting to draw a night view someday? 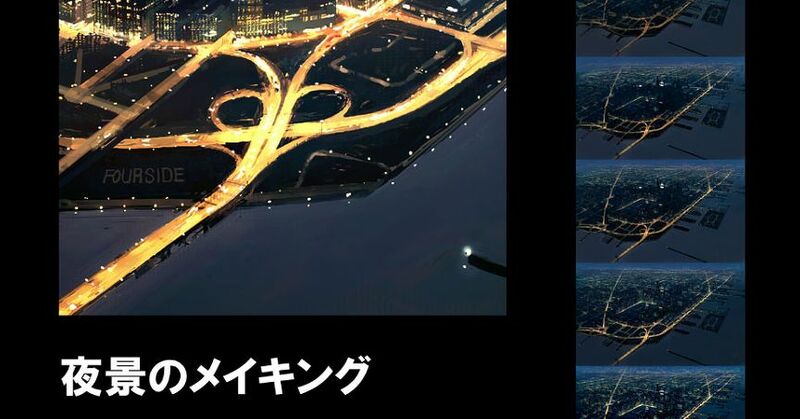 On pixiv, there are illustrations that feature the various techniques it takes to draw a night view--some are simple, while some others are created by expert artists based on their own finished illustrations. Today we are featuring making-of illustrations that might be useful for amateurs and professionals who want to draw the ideal night view. Please enjoy!